There’s a great event coming up this Saturday by our friends with the Career Actions Network, which is a remarkable organization through MPPC (Menlo Park Presbyterian Church), that provides free services to help get people connected into jobs. Presented by an anthropologist, Ilana Gershon, who was a visiting professor at Stanford, this is relevant information to those who want to change jobs (not only people who lost their jobs, but also the employed 50% who want to change jobs). As a visiting professor at Stanford, Ilana spent last year researching job transition in Silicon Valley. She collaborated with the Career Actions Network while she was doing her research, and she is currently on their Advisory Board. the word and bring a friend! 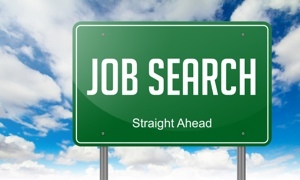 What do you need to do to get a job in this digital age? Do you need a LinkedIn profile? Are hiring managers looking for your personal brand? Ilana Gershon is an anthropology professor at Indiana University who thought asking job seekers, hiring managers, recruiters and HR how hiring works might shed some insights into what is actually going on in contemporary US as hiring and the nature of work changes. She did a year of fieldwork in the Bay Area, trying to figure out what has changed about hiring since the 1980s. Find out what an anthropologist has to say about hiring these days. Ilana Gershon is a cultural anthropologist at Indiana University interested in how new media transforms highly-charged social tasks, such as breaking up or hiring in the United States. She has written about how people use new media to end romantic relationships in The Breakup 2.0: Disconnecting over New Media. Her current research addresses how new media shapes hiring in post-recession U.S. companies. In May or June, she will have a new edited collection of imagined career advice for real jobs around the world. If you want to know how to be a professional wrestler in Mexico or a magician in Paris, pick up a copy of A World of Work: Imagined Manuals for Real Jobs (Cornell University Press, 2015).